Morals and ethics exist in us all. However, the influence of these morals and ethics may be based upon religious beliefs, law, common sense, culture, or the personal opinions of others. This variety of influence is what leads to the rise of ethical relativism: a theory which indicates that the rules of morals and ethics are virtually undefined. Instead, the concepts of ethical relativism reason that the variances of morals from culture to culture and person to person are based on the majority rule and what is considered to be normal within the society. We've talked about this before in terms of mob rule laws and personal responsibility. To further demonstrate this theory in terms that may matter more to this audience, I will use the current corrupted state of affairs among police officers. A few stories have already been highlighted by Divine America with regards to the unjust privileges bestowed upon those who wear the badge. At this time, the idea of law enforcement is synonymous with corruption. More and more, we are witnessing not singular acts by individual police, but a trend in the job description whereby the majority of all officers are either guilty of the action, or guilty of inaction. Quite surprisingly, police corruption is wide spread- not only through America - but among foreign nations as well. It goes without saying that the majority of civilian people expect corruption of all sorts from authority figures. While this is the norm for police officials in many foreign nations, I would point out that so is civilian brutality of the police. Yea, in other countries, people police their police. Some countries. Not all. See for yourself. Police departments of America have a subculture of their own in which a secret code known as the Blue Code of Silence defines the normalcy of this renegade behavior. The Blue Code of Silence is the unwritten rule among police that prohibits officers from reporting the wrong doings of fellow officers. This code forgives an officer’s looking the other way while behavior unbecoming of a police officer is conducted (Meade, 2011). Arguably, the “Blue Shield,” to which it is also commonly referred, was secretly designed to allow officers to carry out “justice” without risk. In most cases, officers would knowingly support false testimony, induce false confessions, or cover up brutality in order to convict known felons, convey the appearance of justice, or avoid demerit (Raab, 1993). While this apparently typical behavior is not one in which the civilian public may agree with, it is certainly proven to be the accepted behavior among a multitude of police departments across America. In fact, several police chiefs across the nation have been found guilty of hiring officers based on the likeliness of their condoning and partaking in this behavior (Raab, 1993). Depending on who you ask, the idea of the normality of this immoral act is one which is both encouraged and chastised. Those who accept this behavior as normal and acceptable are generally those who expect justice at any cost. In fact, these people would rather see someone punished for a crime over no one. In most cases, these people may not care for the truth in the case so much as they care for the appearance of a solved case. After all, a solved crime means fewer criminals on the street. These are the very people who will argue that the police have a difficult job. Well, people don't like being extorted. Imagine, if police didn't extort people, how much easier their job would be. Imagine, if police actually "served" and "protected" instead of just enforced the [unconstitutional] laws, how much less dangerous their job would be. So yes, their job is dangerous, but it doesn't have to be as dangerous as it is. Others feel as though police officers should exemplify the most moral, ethical, and integral people of a society; in which case, the waiving of their integrity is shameful no matter what it accomplishes (Ezeikiel, 2007). Interestingly enough, these officers are intended to be servants of the people - essentially hired for the people by....not the people? I don't know about you, but I've never had the opportunity to interview any of the officers that sought a position protecting me. Perhaps we the people should be part of that. It would give us the opportunity to inquire exactly how the individual intends to uphold the constitution. But, that's all responsibility. And when we fail to take it, we get officers with mindsets, like this fine upstanding and protected officer of law, who thinks people mad over a murder makes them the animals. And I digress. Sorry. Unfortunately, more and more we are seeing the Blue Code of Silence used to protect officers while taking part in crimes that are only a means of benefit to themselves. Without a doubt, there is a certain heightened ability to “get away” with crime when you are on the staff of those who are intended to "war against" crime. 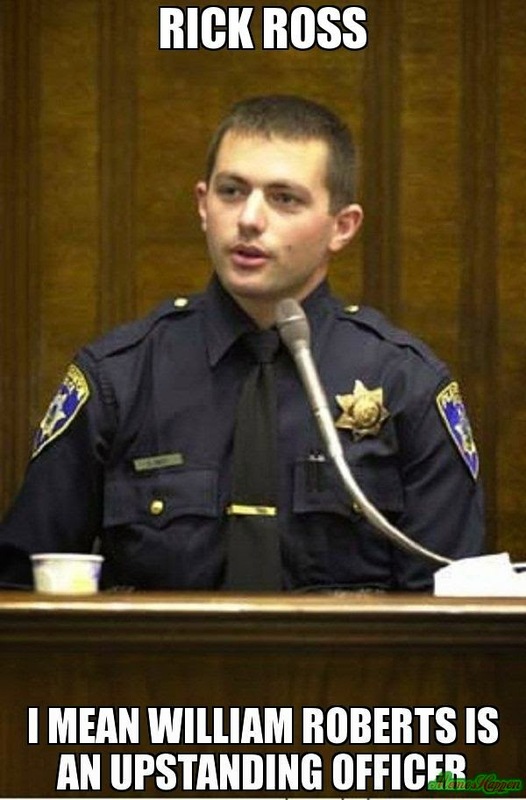 When police officers use their authoritative position to engage in drug deals and protection scandals there ceases to be any appearances of justice (Ezeikiel, 2007). Because the nature of their corruption can put "bad guys" where they belong and be used to satisfy personal gains, corruption in police officers can be viewed as bad and good. 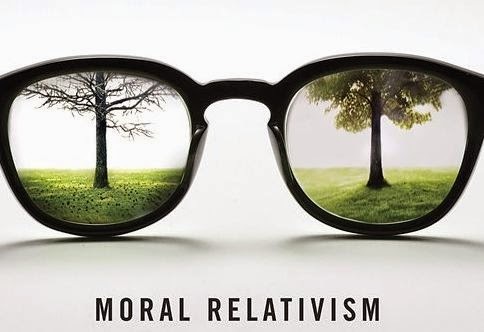 There is no simple good or bad answer, which is the same idea behind ethical relativism: what is moral to some is immoral to others (Rosenstand, 2011). The fortunate knowledge in this case is that the majority will always believe that corruption in police is unacceptable. However, when the corrupt behavior serves its intended purpose of locking up bad guys, it is more readily accepted or overlooked even by the majority society. In America, ethical relativism makes great impacts on law, voting, education, and much more within a community. For instance, since the inception of the United States people from various countries have flocked here. With them they brought many things, but more importantly, brought their cultural morals. For this reason, America has had to establish a standard of ethical living, and in most cases, a law to protect the majority opinion of morals and ethics. For example, in cultures outside of America, the act of honor-killing is perceived as the right of a family to kill another family member who has brought dishonor to the family (Shingledecker, 2012). There exists today a large amount of stories in American news like the one of Noor al-Maleki, whose father ran her down in his jeep, killing her as a means of restoring honor to his family. Though this behavior was acceptable to his Muslim community, it was not acceptable by American cultural standard, and Faleh al-Maleki, father of the victim was sentenced to life in prison (Labi, 2011). However, as we see more and more foreign movement to America, these very standards are being threatened. I would say this is a digression of our topic, but seeing as how those with a badge are already getting away with such crimes, I wonder how truly close we are to the society controlled entirely by vicious killers with the manpower (and artillery) to accomplish their mission. Unfortunately, ethical relativism still demands that people formulate a side of moral standards to which they should adhere. I think most of this audience would agree that officers of the state at all levels should be held accountable for their actions, just as any citizen would. After all, not even someone wearing a badge is above the law. 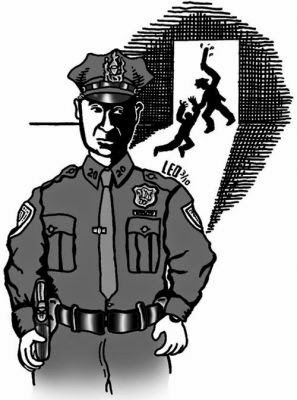 Sites such as PoliceWatch.us and CopBlock on Facebook, are designed to bring attention to the corrupt activities of police; but are quickly shut down and what information they put out still provides no means of preventing the behavior. 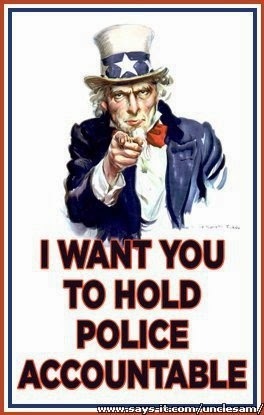 In order to stop the rise of the police state, the citizens must take action to get these officers in line. It is our duty to remind them what taking an oath is about. Acting in a legally protected manner to bring attention to the inappropriate conduct of law enforcement officers, the people can bring justice where it needs to be placed - even if that means arresting an officer of the law. When we stop turning a blind eye to the problems, they might actually get fixed, and our nation is in great need of repair these days. The ideas of ethical relativism provide an easy excuse for people to ignore moral issues that may not immediately affect them. In America, we may ignore immoral actions if they do not break the law, or if they do not directly involve ourselves. Ethical relativism is not a solution to limiting or preventing unethical behavior. It is a validation for turning a blind eye to behavior that is considered inappropriate by those who have slightly more integrity. However, silence is just an unforgiving. 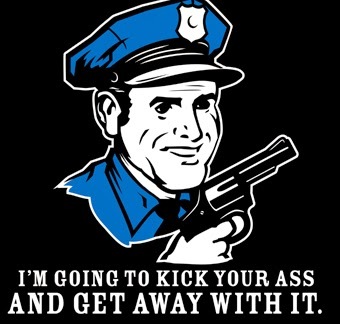 As long as officers of the law are responsible for policing their own actions, and protected by the shield, they will remain the largest known organization of crime; and we the people will continue to be extorted for whatever reasons they deem worthy. "Whatcha gonna do when they come for you?" Will you say, "No, thank you," and risk life and limb for what you believe in? Or, will you uphold the traditions of servitude?